The Doutta Galla Tennis Club is on Facebook. 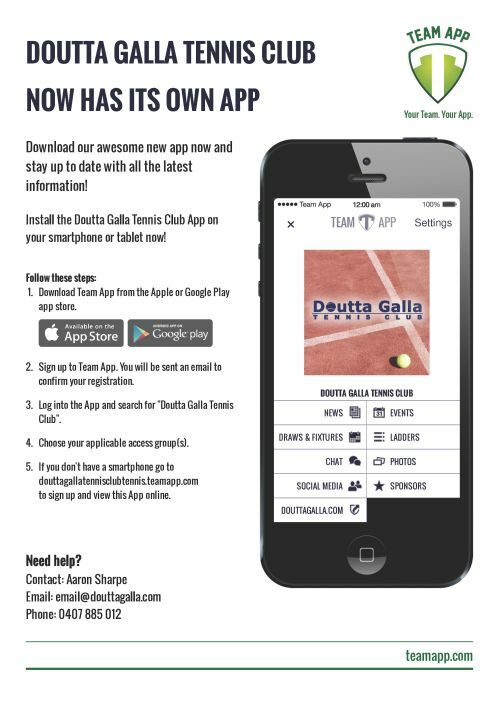 The Doutta Galla Tennis Club is on TeamApp, allowing for contact within the Club from your Phone, Tablet or PC. This App is free for everyone and is available on Apple iOS and Google Android Devices as well as via any Web Browser. One of our Administrators will then approve your access.